1. Click ‘Connect your email’. Once your campaign is created, open it (click ‘Campaigns’ in the black bar at the top, then click your campaign), and click ‘Connect your email’, right below the campaign's name. Alternatively: you can go to ‘Settings’ (expand the menu in the upper right and click ‘Settings’), then click the green button ‘Add Email Account’. 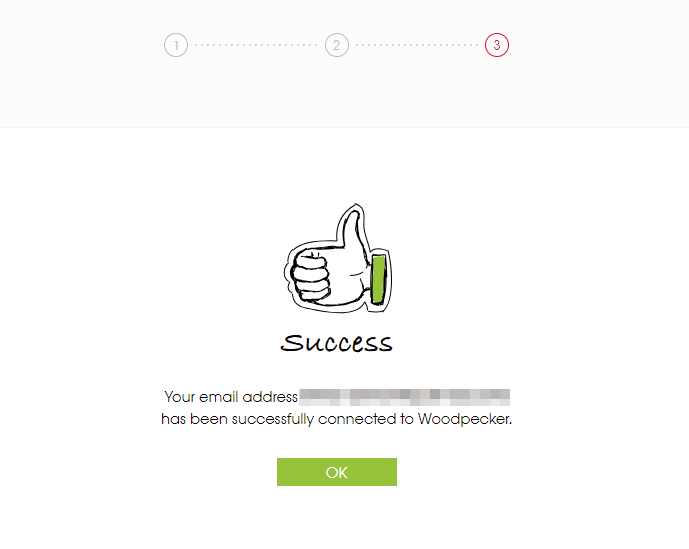 Woodpecker has a native, one-click integration with Google’s Gmail. Note that when you select Gmail you will be informed about the sending limits for this provider. The default limit in Woodpecker will be set according to your choice. You can change it later in ‘Settings’. Choose ‘Automatic connection’ and the App will auto-detect settings and quickly configure the email for you. You can fill in your ‘From name’. It’s your sender’s name that will be visible to your recipients. 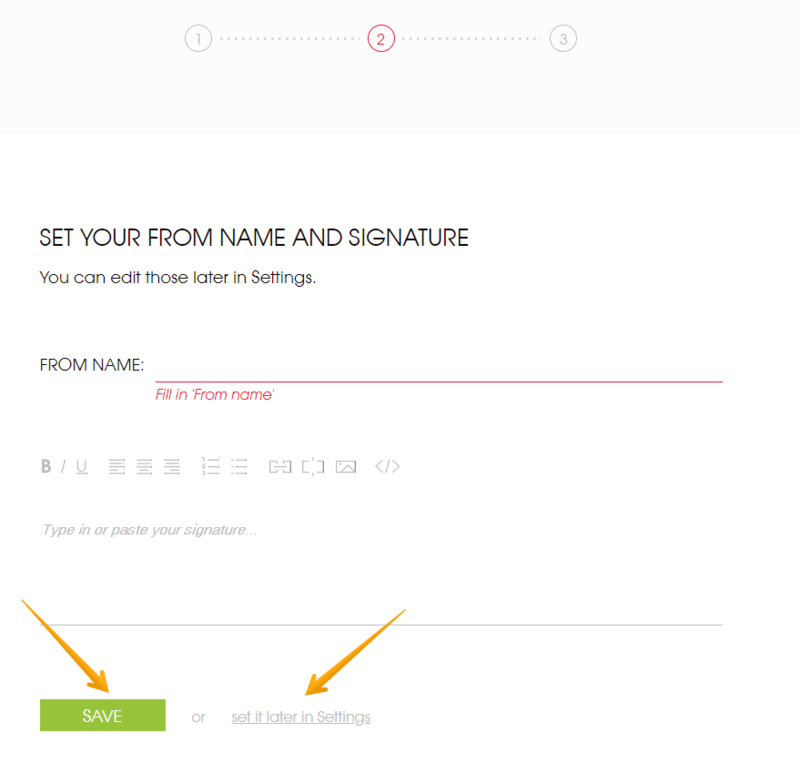 You can also set up a signature that will be attached to the emails you send. You can skip this step for now and edit your ‘From name’ and ‘Signature’ later by clicking ‘set it later in Settings’. 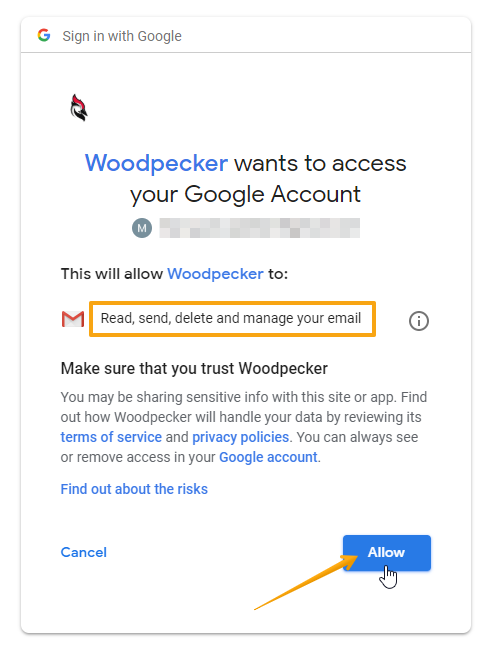 Once you click ‘Add email’, you will be asked to allow Woodpecker to access your Google Account and read, send, delete as well as manage your email. Now you are able to select your Gmail address as a sender in your campaign. Alternatively: if you connected your Gmail through ‘Settings’ menu, you can now select it in your campaign. Simply go to ‘Campaigns’ list, open the campaign and select the newly connected Gmail address in ‘Send from’.